Happy Thanksgiving Moongoons! This week's cinematic feast is "Blood Freak", an incredibly bizarre and wonderfully awful piece of movie history. This one of a kind film from 1972, is beyond words and truly needs to be seen to fully understand its awesome awfulness. Featuring a chain smoking narrator, drugs, Bible thumpers, the Italian Tarzan, and experimental turkey meat along with horrific editing, awful screaming on a loop, and music stings that will make your ears bleed. Do yourself a favor, listen to this episode then go watch the movie for yourself. Hey Moongoons, have you even watched a good horror movie and thought to yourself "Boy, I really wish someone would make a really stupid, I mean really retarded over the top stupid version of this movie?" Well, if you have then this is the movie for you. 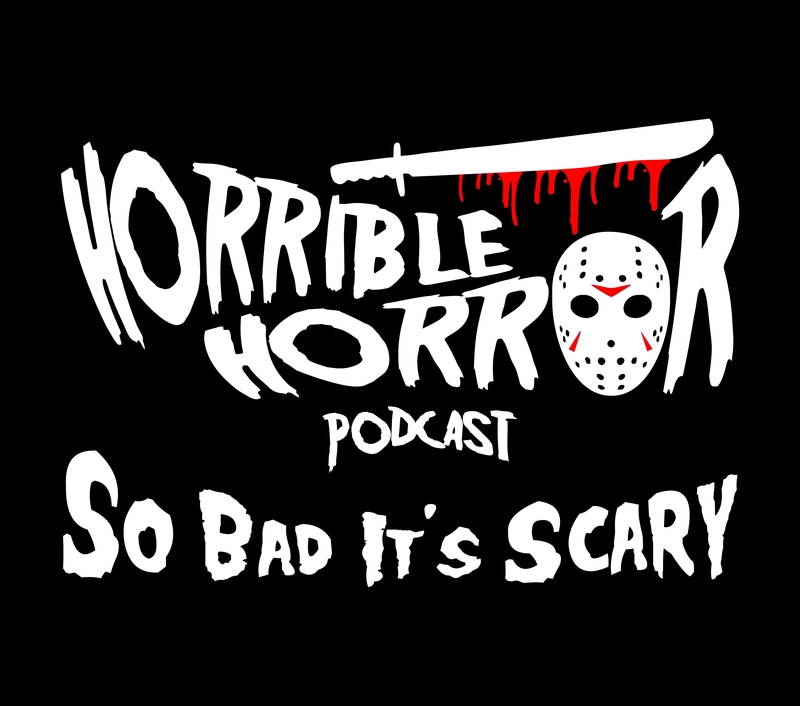 In this bonus episode we talk about the soon to be released "Friday the 13th Part 3" spoof "Camp Death 3 in 2D". This indie film strives to be one of the stupidest movies ever made, and we think they succeeded. Featuring, a cocaine addicted squirrel, puppets, offensive characters and dialogue along with more 'F-bombs" then all of Quentin Tarantino's movie combined. Holy discombobulated mess, Moongoons! This week's movie "Hell Week" is crazy drunken mess of a indie film. It's so ridiculous that I'm not even sure what to say about it. I can say it features more characters than a J. R. R. Tolken novel, with one of the killers being a musical savant, along with a psycho maniac family, ghosts, vampires and run time that makes it feel like a week, it does live up to its title "Hell Week"
Eight college kids in camping in the woods and getting killed, is a tale as old as time. So, you would think that it would be pretty hard to mess that up, right? Well, the 2018 "Pledges" figured out a way to do just that. Is this indie film a ghost movie, a demon movie, an alien movie, or is it a hodgepodge smashup up of all the above? The Hell if we know, all we know is that we don't have an F'ing clue as to what's happening in this movie. However, it does feature some pretty good visual and special effects along with some tolerable acting.